Working in ethics and giving ethical advice are among the most challenging tasks we have as practitioners and advisers. 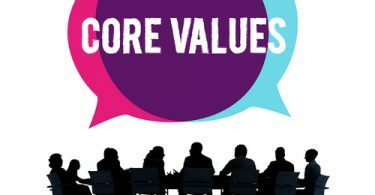 Developing a personal core value approach, which you can talk about and teach to others, is an essential part of having the access, impact and influence required of a trusted strategic ethics adviser. Core Value No. 2. Achieve the Achievable. One of the things you tend to learn as an ethics adviser is that people do the things they generally like and want to do regardless of the sensibility of your advice. The lesson is that people rarely change, even in the face of extraordinary catastrophe. The same old behaviors, the same old ideas, the same old inclinations persist. Sadly, I’ve known many practitioners in our profession who have stayed with an organization that they genuinely like in the false hope of being able to change the direction and the leadership’s thinking. 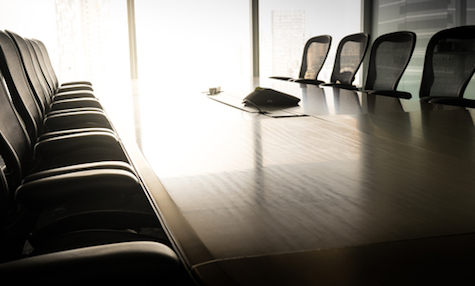 Changing leadership’s thinking is very unlikely. In ethics, the successful strategy is striving relentlessly toward positive incremental progress: getting the getable, doing the doable, changing the changeable, finding the findable and recognizing the limits of even the most sage, sensible and constructive advice. Core Value No. 3. Speak Up — Early, Preferably Now. For every crisis and creepy thing you read in the newspaper, see on the web or hear in the news from organizations of any size, you better believe there is a public relations or professional communicator in on the discussions and the decisions. The greatest enabler of unethical behavior is the silence of those who know something but say nothing. This seems true in every case of unethical behavior. Someone always knows, someone always sees, someone always hears. In some behaviors, like sexual harassment, there is a crime being committed. Those who know and don’t speak up are complicit in the crime. And some events, like the assaulting of another human being, require an immediate ethical response — like dialing 911. “Well,” you say, “if I spoke up every time, I wouldn’t have a job.” Maybe … But look at it this way: You’ll sleep better at night. You will find another job. Your principles and core values, especially those you ignore, will stay with you and trouble you for the balance of your life. Core Value No. 4. Work Consistently Against De-Ethicization. As your career advances, those wonderful, simple, sensible and doable beliefs you developed in the early years of your life begin to erode. I refer to this as incremental de-ethicization. Most advancement rituals in organizations are fundamentally designed to test your skill, knowledge and ability, but also your own belief systems and loyalty in the organization. You want the promotions so you agree to adopt these. The asks tend to get progressively bigger as you proceed up the “success ladder.” Halfway up the ladder, you suddenly realize that you are part of the ritual — making asks of those below you, like those that were asked by those above you earlier in the process. 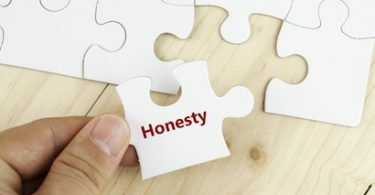 To maintain a sensible direction in your own ethical process, you need to have something like principles and core ethical values to rely on and work through. Core Value No. 5. Teach Your Way Through Real Trouble. Very few problems in life and in business are crises. Yet every crisis presents ethical problems that test an organization’s ethical commitment and leadership. So when those issues, problems, questions or decisions start to make your belly ache, it’s a sure sign that ethical problems are here or lie ahead. Bad news and trouble ripen badly. These events always get worse before they get better. Steering a clear, focused course through these problems based on your core ethical values can dramatically reduce the impact, collateral damage and uncertainty that are always a part of the package of bad ethical events. At the same time, the likelihood of the perpetrators learning some things can be more successful. James E. Lukaszewski, APR, Fellow PRSA, served on the PRSA Board of Ethics and Professional Standards (BEPS) for 22 years. In 2016, he was the first BEPS member to be given Member Emeritus status by the PRSA Board of Directors. Among other activities, he was co-chair of the PRSA BEPS Code of Ethics redrafting effort led by Bob Frause, APR, Fellow PRSA. The PRSA Assembly unanimously approved the revised code in the fall of 2000.